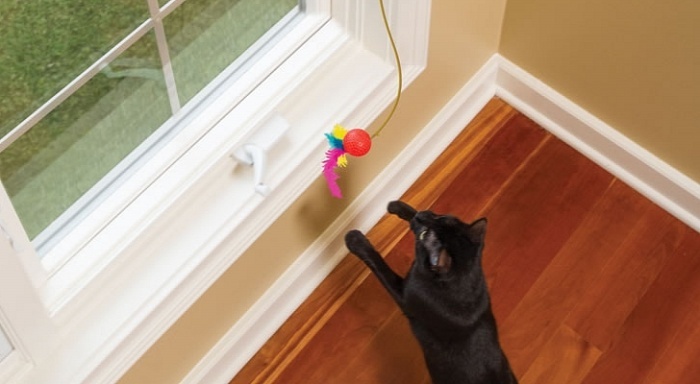 Cat Tantalizer: A Green Toy for Your Kitty Cat | OhGizmo! By Hazel Chua on 05/14/13 • Leave a comment! If you’re conscious about your carbon footprint, then chances are you’re already living a pretty green life. So why don’t you go the extra mile and start your cat off towards the path of greener living, too? You can change his diet, buy organic cat litter, and make playtime as green as can be by replacing his battery-powered toys with the solar-powered Cat Tantalizer. As its name suggests, this toy will tantalize your feline companion. It’s meant to be stuck on your window, where hopefully a lot of sunlight streams in. 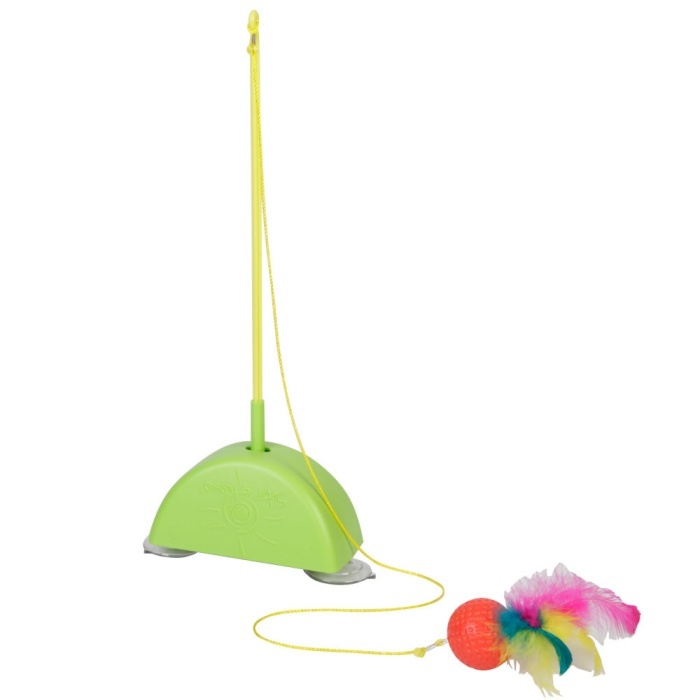 When the rays hit the toy’s solar cell, the Tantalizer’s motor comes to life, moving the rod back and forth and giving your cat one helluva fun time. It’s available from Hammacher Schlemmer for $39.95.